Ever since Reading Rainbow began their Kickstarter, I've been feeling really nostalgic. I loved that show as a child, even going so far as too try and find the books on the show at my local library. They never seemed to have any, but it's partially because of that show that I became a huge reader. 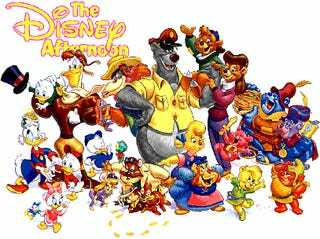 Any of those Disney shows I loved watching in the afternoons: Duck Tales, Tail Spin, Gummy Bears, Darkwing Duck, and Rescue Rangers. And let us not forget Gargoyles, which was probably my favorite cartoon from that era. So what about you guys? What would you give money to see re-booted? What's you favorite Reading Rainbow memory?